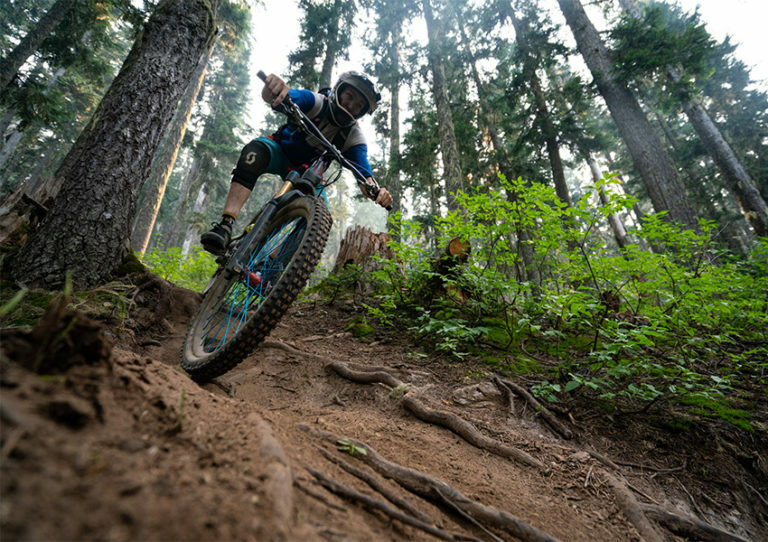 Industry Nine is not only a common name at most trail centers, but also a familiar sound. The audible, deep-sea-fishing clicks resonating through their signature alloy spokes are seldom mistaken. Over the past two years, the brand has developed a way to turn those clicks up to 690 points of engagement. Yes, you read that correctly. 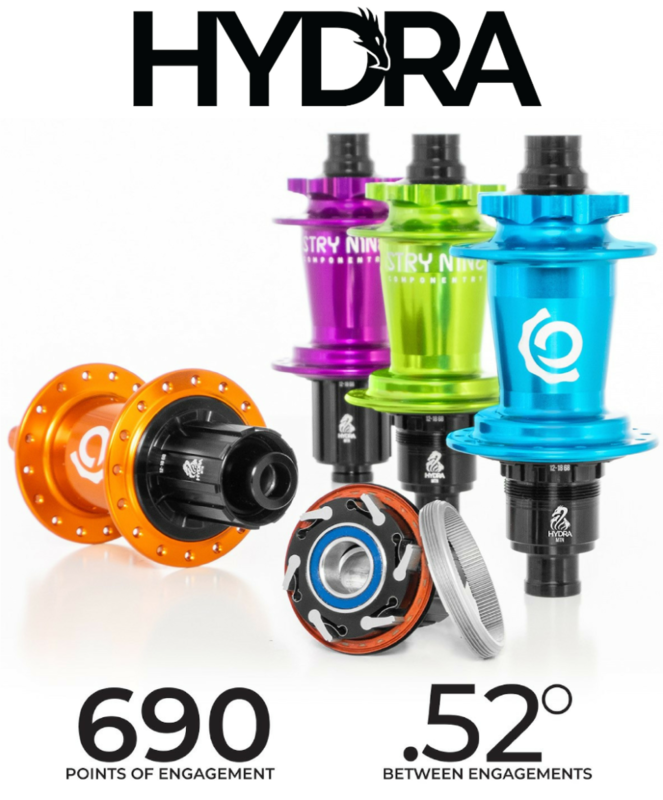 The new Hydra freehub body from Industry Nine clicks six pawls through 690 points of engagement, resulting in just 0.52° between engagements. Put simply, if you move your pedal forward you will almost instantaneously be putting power to the wheel. This is fantastic news for folks who enjoy riding technical tracks, where quick hub engagement can make the difference between cleaning a line or walking it. The new hubs come in the same rainbow of colors and as always and can be built to the carbon or alloy rim of your choosing. All modern hub spacing standards are covered with the Hydra, including Super Boost. Pricing starts at $435USD for the rear hub and $215 for the front. Depending on size, weight is said to be around 286g for the rear, and 165g for the front. The new Hydra wasn’t quite enough bang for the wheel technicians from Asheville, North Carolina. The brand is also making a budget-friendly hub, aptly named “101.” The first notable difference from the Hydra above is that the 101 has 90 points of engagement, which yields a respectable 4° between engagements. The 101 hubs will initially be sold a la carte, with complete wheel builds coming in the late spring. You can order a set with a center lock or 6 bolt rotor interface, and 28 or 32 spoke holes. All 101 hubs will come in black, with Boost spacing front and rear. Pricing starts at $289USD for a 101 rear hub, and $136 for the front. The rear hub is said to weigh 295g while the front hub is about 165g. If you would like to test out a set of wheels with the Hydra or 101 hubs, check out Industry Nine’s events page for demo locations and details. 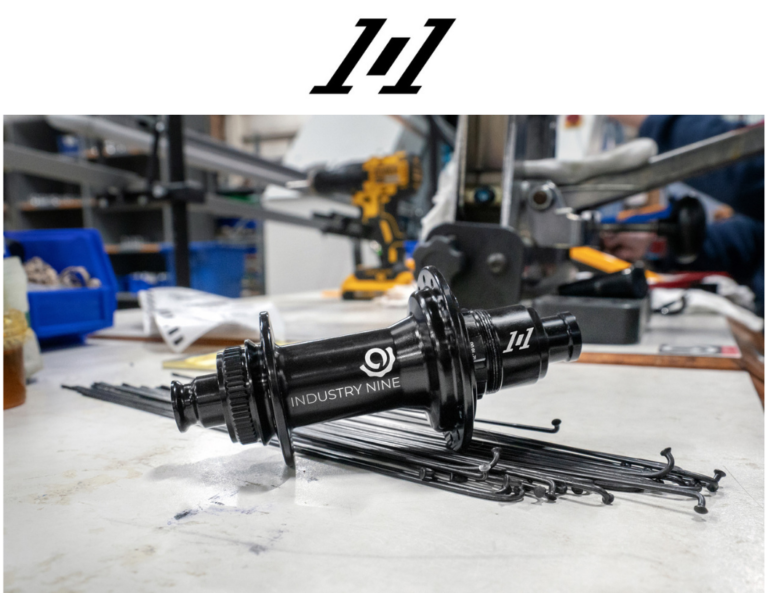 Today, ENVE announced a partnership with Industry Nine to create an American made hub pairing that will lower the MSRP of ENVE’s M Series mountain bike wheels to $2550 (previously $2980).